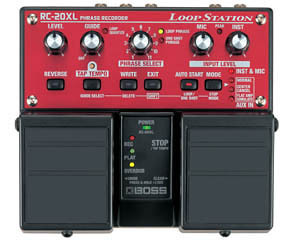 In August 2009 my partner in crime, Andreas from The Dingo Birds gave me a BOSS RC-20XL Loop Station. Woohoo!! Let the one-man-band jamming days begin! - I liked the auto-start function: when you start playing it records automatically. - Quantize function means you don't have to be exact with timing when recording the initial loop, which is cool. - Quite easy to get the hang of. Only two pedals, one for record, play, and overdub, the other for stop, delete. - Didn't like that you can only record one overdub (with many layers) and you cannot delete loops and add them back in once you record them. - Drum samples sound quite artificial. Score: 4/5 for a beginner looper. First of all, I need a good pickup for my cello. For a great way to amplify a classical cello, see my post about "The Band" for cello, made by Headway.